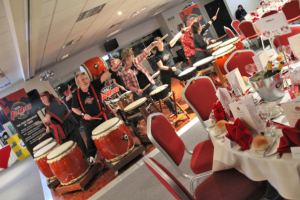 CCS Taiko are proud to present their semi-professional group, who are available for hire where they will entertain you at your event; whether it be your wedding, a birthday party or Christmas bash or a more formal corporate event. The performing group consist of the “highest level” of experienced and semi-professional players who commit to training and improving their skills in our weekly rehearsals. We are constantly updating our repetoire with new pieces and are always looking at improving our performance and extending our skills. 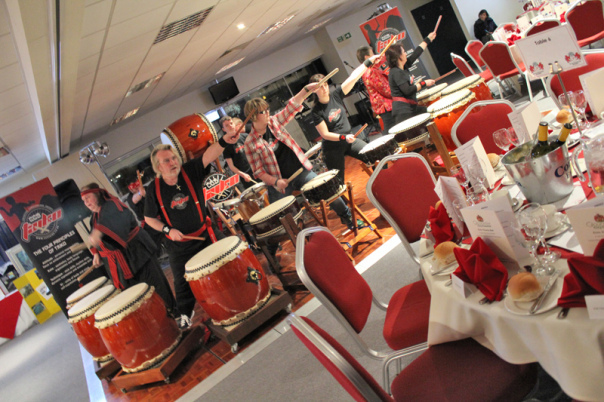 CCS Taiko can create a custom performance according to your event requirements and will strive to exceed your expectations. The performance can range from low impact to high energy pieces and could be in one all-out spectacular show or in smaller segments. We can also offer your guests to “have a go”.